While real estate has traditionally been a networking game, something that relies on experience, hard work, timing and even a bit of luck, the rise of ‘big data’ may soon change all of this. 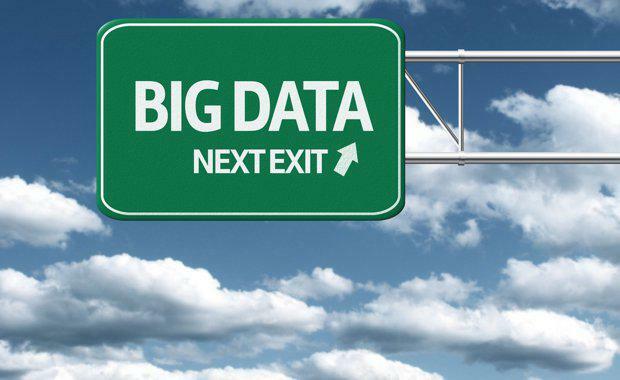 NGData, big data refers to the massive amounts of data businesses collect through their own processes and means. When leveraged, this type of information can be used to reveal trends and certain patterns that could drastically improve marketing strategies. Real estate in particular could hugely benefit from this type of insight, changing the game for companies and agents. This data is collected in hundreds of different ways, including surveys, online audience tracking, industry statistics (e.g. ABS, CoreLogic etc) and customer feedback. While all this data could be meaningless to some, to the real estate industry it could be the holy grail of marketing insight. The real magic happens however within the analysis. Analysis of big data is able to create insights into consumer behaviour, patterns and even future trends. In real estate it’s about identifying your customer and providing them with better services. Even with the most basic analysis, real estate companies could drastically reduce their own marketing and advertising costs by improving the accuracy of mailing lists, flyers and emails to potential clients. A major drawcard of utilising big data is being able to predict who is more likely to sell their house and zero in on them before they even decide they want to sell. The Wall Street Journal, Stefanos Chen discusses how big data is being used in the competitive real estate market. He looks at the example of Jon Hoefling, a 50-year-old office-furniture resale company owner in Morgan Hill, California. Jon was thinking about selling his home and when he opened his Facebook page he saw an ad offering to estimate his home’s value. Coincidence? I don’t think so. Like 1,500 other Silicon Valley area residents Jon was targeted by the real estate agent who paid for the ad using big data and a sophisticated algorithm who identified him as a potential seller. [urbanRelatedPost][/urbanRelatedPost]Chen says there were a number of “telltale signs” which identified Jon as a good prospect for selling, such as he had lived in the area for more than 15 years, his home was valued high for the area, and most importantly, his youngest son was about to leave home for college. Jon is just one example of big data utilisation by real estate companies. These companies are seeking the services of firms, which can analyse and target potential buyers, paying for subscriptions to get their insights. Jon’s information could have been collected in one of several different ways. Anything from surveys, online audience tracking, industry statistics, subscriptions to publications he had, demographics, freely accessed public records and the list goes on. Real estate giant, Sotheby's International Realty, recently announced a partnership with Wealth-X, a consulting group who use public records and research to find out more about the interests and habits of the ultra rich. They scour salaries, hobbies, titles, affiliations, family members, news, tax records and much more to get information on the world's wealthiest 1%. Using this data, Wealth-X helps clients such as JP Morgan, Barclays and McLaren, find prospective buyers for their products. They help agents determine who is most likely to be in the market for buying and selling, saving companies substantial time and money. enlisted Wealth-X to find a buyer for a $9 million penthouse that was about to hit the market. Wealth-X first established the most likely description of their buyers - previous homeowners with a combined income of at least $2 million and had lived in a house worth more than $4 million for at least five years. Chen says they then got into specifics, such as targeting art collectors because there was ample wall space and private plane users because the area attracts jet-setters. Firms such as Wealth-X use a combination of data from hundreds of sources to then combine it with real estate contact bases then narrow down a list of the most likely buyers. This list could still come down to a few hundred potentials but the next step is leading a mail, email or calling campaign to the targeted buyers. While some real estate agencies are jumping to use the technology there are many that are concerned about the future roles of agents. mashable there are concerns within the real estate community that big data is fuelling valuations that are too high, with sellers believing properties are worth more than they actually are. "An expert real estate advisor knows what recent sales have been, what developer incentives are offered , and inside secrets to getting the best deal. The internet is a good place to start, but you always want to work directly with an expert working in your best interest to get the whole story before buying. It's the shortcut to success. "It's certain that the future of real estate is changing, but how exactly will big data fuel what is to come?